This Cahier Technique publication is intended to provide a general overview of the main electrotechnical calculations carried out in engineering studies on electrical systems at all voltage levels. It is complementary to other Cahier Technique publications that deal more with the operation of devices and installations in electrical systems. This document will help owners, designers and operators understand the importance of these calculations in ensuring correct use of the electrical network and their impact on the total cost of ownership. Electrical networks have long been studied to ensure effective supply of electricity to processes. The main aspects studied are design, operation and upgrades. Note that, in this document, the term “process” refers to all applications of electricity users (commercial, infrastructure, industry, distributionsystem manager). Given the recent worldwide context, the importance of electrical network studies is growing continuously. Over the past few years, the electrical world and its organisational modes have undergone rapid change. With deregulation of the electric market, the economic rules have changed. Consumers can take advantage of the competition between suppliers and utilities can extend their markets. Users are refocusing on their core business and divesting secondary activities such as those required to run electrical networks. Examples are subcontracting of maintenance or operation of installations to specialised service companies. Technological progress has also had a number of effects. First of all, digital electronics and computer networks have opened new horizons, but also imposed new constraints. They have improved electric system instrumentation and control, including remote control, but at the same time have made processes more sensitive to energy quality. 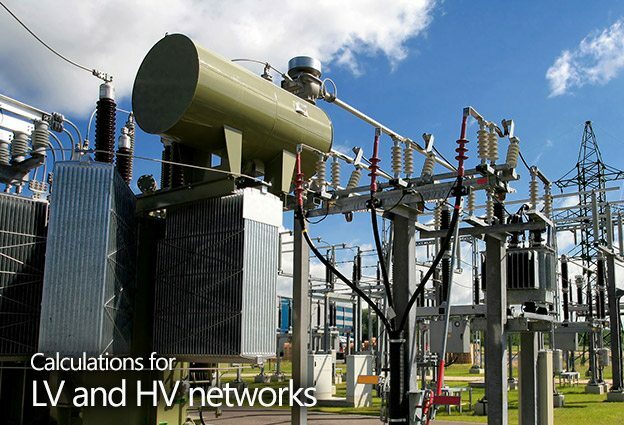 Secondly, the trend toward multiple energy sources (combined heat and power – CHP, renewable energy) and the widespread use of non-linear loads can, over time, have major impact on network architecture and operating modes, due to voltage disturbances, protection needs and regulations.